▪Spaying and neutering can eliminate or reduce a number of serious health problems that can be difficult or expensive to treat. ▪Spaying and neutering can make pets better companions. 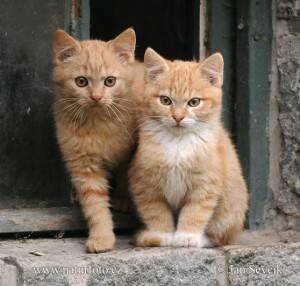 ▪Neutering cats makes them less likely to spray and mark their territory with pungent urine. ▪Spaying a dog or cat eliminates her heat cycle. 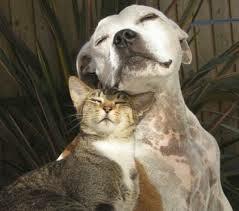 Cats in heat can cry incessantly, and dogs and cats in heat may appear nervous and may attract unwanted males. ▪Neutering can make pets less likely to roam, run away, or get into fights. ▪Unsterilized animals often exhibit more behavior and temperament problems than do those that have been spayed or neutered. ▪Neutering makes dogs less likely to bite. How does it benefit my pet? ▪Spaying and neutering may help your pet live a longer, healther life. ▪Spaying virtually eliminates the possibility of uterine or ovarian cancer and greatly reduces the incidence of breast cancer, especially when your pet is spayed before her first heat cycle. ▪Neutering virtually eliminates testicular cancer and decreases the incidence of benign prostate disease. ▪Spaying can help prevent various reproductive tract disorders. How does it benefit my community? 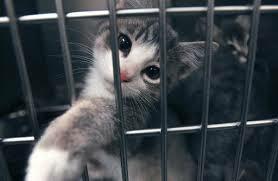 ▪An estimated 8-10 million animals are taken to shelters each year. ▪An estimated 4-5 million animals are euthanized in shelters each year. ▪The stray/feral cat population is estimated to be in the tens of millions. ▪Communities spend millions of dollars to control unwanted animals. 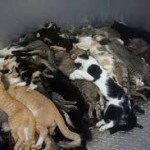 ▪Animal shelters are overburdened with surplus animals. ▪Stray and homeless pets may get into trash containers, defecate in public areas or on private lawns, and frighten or anger people who have no understanding of their misery or needs. THE MOST EFFECTIVE WAY TO REDUCE THE NUMBER OF HOMELESS PETS IN SHELTERS AND TO INCREASE ADOPTIONS IS TO SPAY OR NEUTER! 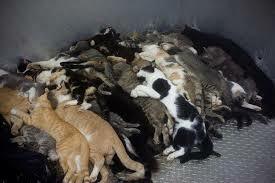 Over 5 million dogs and cats are killed each year in shelters……simply because there aren’t enough homes for them. Please help to end the mass killing of four-legged friends.